General Hospital spoilers say that Jason Morgan discovers Brad Cooper’s commitment to Dawn of Day, something he could use to his advantage. General Hospital spoilers reveal that Willow Tait is distracted by Brad Cooper, as she can’t get her baby off of her mind. ‘General Hospital’ Spoilers: Julian Warns Brad About Willow – Baby Secret Spills Soon? 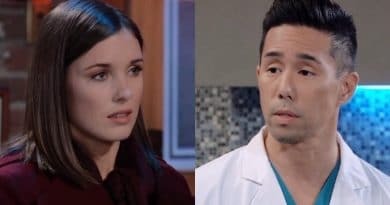 General Hospital spoilers reveal that Julian Jerome warns Brad Cooper away from Willow Tait – is the baby secret about to spill out? 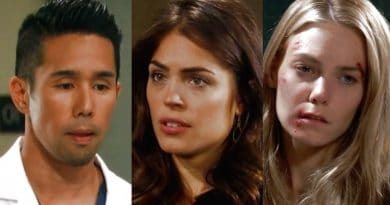 General Hospital Spoilers: Kelly Thiebaud Returns – Britta Meets Peter and Helps Brad With Baby Fiaso? 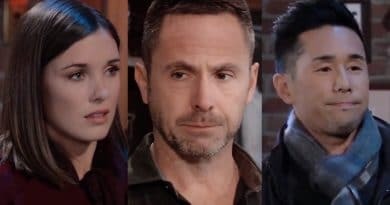 General Hospital Spoilers predicts that Julian Jerome (William deVry) uncovers the truth about Wiley Cooper Jones on GH. General Hospital spoilers hint to the Quartermaine birthmark puts an end to Brad Cooper’s (Parry Shen) baby swap scheme. But this is not a storyline going away anytime soon. 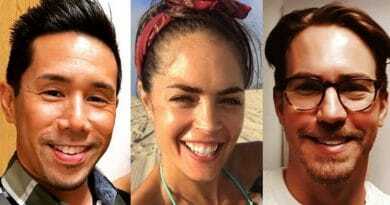 Take our Poll – Brad stole Nelle and Michael Corinthos’ baby. Tell us what do you think he’ll do & see what other General Hospital fans think.